Anchor Aweigh! Learning how to Anchor my Emotions to Positive States and an Attitude of Total Expectation! Creating an attitude of TOTAL EXPECTATION is what I want, as my attitude of optimism in life and my goals. Sure is a better one than most of our weak or disempowering habitual emotions, and habitual rituals that can deflate us every day in every way. Here in session 11 we analyze our regular emotions, the ones we experience on a regular basis, probably daily. Think about some of the most negative ones you experience regularly, like maybe: Frustration, anger, resentment, overwhelm, sadness, depressed, disappointment and so on. So, then consider what are the thoughts/beliefs/expectations you have about yourself or your life (or your goals) that set you up to feel those negative emotions? What are your habits and rituals that lead you to experience negative emotions. What physiology do you apply...? Looking down, droopy shoulders, whining voice? Then you need to interrupt that ritual, to be able to change that state. And the principles also apply for the rituals you use to enjoy great feelings, feeling calm, happy, contented, optimistic. Want to feel calm? Have you ever felt calm before in your life... even just once? Well, let's go back to that time and look at what you did, with your mind and your body, when you were in that state of calmness. How did you breathe? What tonality did your voice have? What position was your head in? At what point did you begin to feel really relaxed...? and so on, until you have a good recipe for the physiology required for you to enjoy a sense of calmness. Then consider your mental state... what were you focusing on in your mind? What was your self talk like? Do you begin feel some peace of mind, right now, just contemplating the recipe of what it took to become calm? If so, you know that your recipe works, and you just need to practice doing it until it becomes a ritual that you can instill any time you need it. Tony has some brilliant insights into how we run our rituals at different times - lol! Our conditioning brings out the best and the worst in us. So, in this session you will discover the old rituals that no longer serve you, instill the new rituals and patterns that do serve us to enjoy a happier and better life. We can learn how to take control of our thinking and our conditioning. We can CHOOSE what we want to anchor our emotions to. Define five negative emotions and the rituals that help create and support them. Do the same for five positive emotions. Then I work on how to change the rituals I use when I feel the negative ones, and how to create the positive ones more often, and how to anchor them with actions that can help me to quickly snap into those states whenever I want to. Tony talks about how to stop Procrastination here too.... Develop the habit of telling yourself I WANT to do this... rather than whining on about how you HAVE to do something. Fascinating process today... learned more about myself yet again, even though I've been doing the exercises for years now, you grow/develop/change and constantly develop new rituals, or fall back to old ones you thought you were done with. OK,... now onto Tuesday session 12 in week 3 of the coaching workshops. This is about ANCHORING your emotions, so that you can snap into the states you WANT to enjoy, as soon as you want to get into those states. It helps you to control your moods, your energy levels, your level of total expectation, and gives you the power to cut off the negative emotions and patterns that just disempower you without warning. You learn how to use NLP including the "swish pattern" that basically wipes the screen clear in your mind pictures that are usually part of the patterns you run. 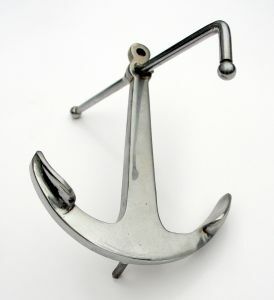 Anchors result because something happens consistently in relation to another event happening at the same time. Much like Pavlov's Dogs. The doctor would ring a bell at each meal he fed the dogs. After a few times as soon as the doctor rang the bell the dogs would begin to salivate, anticipating their meal. They had simply and automatically anchored the sound of a bell ringing with being fed a meal. We do this ALL THE TIME!! Unfortunately, it also works for all the negative states too. I promise you that you can develop negative emotions for a person, simply because you have unwittingly anchored negative emotions or a negative state like anger, to seeing that person's face or hearing their voice. If you have a photo of your wife or husband on your desk at work, don't sit and stare at it whenever you are in a state of frustration or rage about your workplace, or you WILL unintentionally anchor those negative emotions to seeing that person's face. It is as scary simple as that to set up relationships to start cracking up... and you can't even work out why you feel that way around that person!!!! I have to do some work right now on how I have been anchoring some current negative emotions of fear, uncertainty, resentment and anger to someone who happens to be around me all of the time right now. I'm beginning to get into a totally negative state as soon as I see this person's face... no matter what they actually do or say, I'm instantly in a negative state, and anticipating badness and sliding into a downward spiral of asshattery behaviour. So do not think that just because you've done this course once or twice before, I PROMISE YOU that you will have bright, shiny, new big hairy ugly issues to deal with at THIS particular point in your life right NOW. So, now I need to start Collapsing Anchors that are tripping me up in my plans for a positive, fun, powerful, enriching new life - and Tony tells you how to do that. Then on to creating some more Positive Anchors, as I really need to build them again. Life has been very challenging the past couple of years, and will continue to challenge me in some specific matters this year as well, so I need to get a Teflon coating to help me deal with it - I need this. There are a heap of physical and mental exercises to do here, including the "swish" pattern. Waaay too much to even begin to describe here, sorry, these are ones that you need to get the program and follow step-by-step at your own pace, dealing with your own issues, for your own life goals. BELIEVE ME - YOU WANT to know how to do this stuff, if you ever intend to improve your life, find your body mind spirit balance, and to just learn how to be more happy! Powerful stuff - thank you once again Tony!